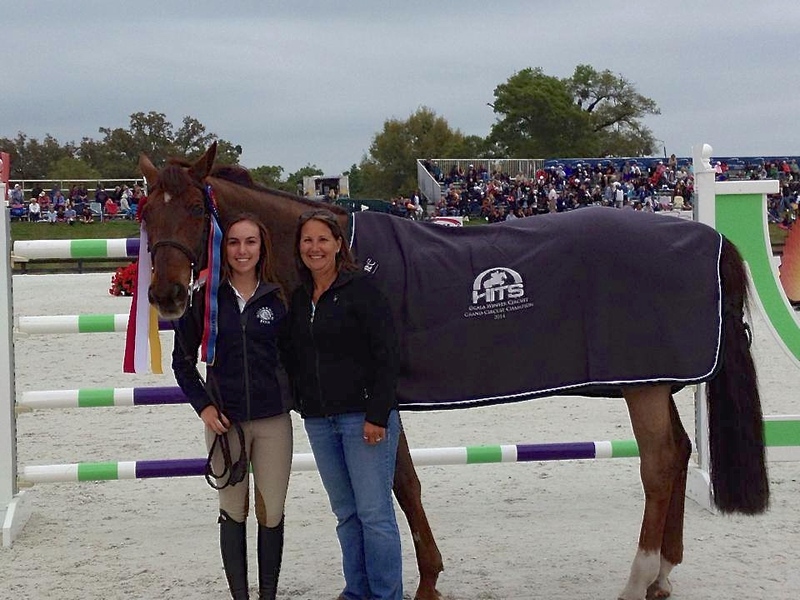 Isabella Roman accepts her Circuit Awards with trainer Sue Leverick at the Hits Ocala Winter Series. Mundelein, IL – April 30, 2014 - Millennium Farm and trainer Sue Leverick were another Chicago area business that escaped the harsh winter of the windy city to enjoy some horse showing in the Ocala sun. The weather wasn’t their only reason for the getaway; the circuit provided the farm some consistent training and team building as well. Leverick’s Millennium Farm in Mundelein, IL, caters to all levels of riders and enjoys building a team of riders. Whether the riders show in the short stirrup or the High Amateur Owner Jumpers, the team spirit is encouraged. It’s also a family affair with Leverick’s daughter, Katie, 23, who shows in the Amateur Jumper divisions. Daughter Katie, of Hawthorn Woods, IL, competed in the Medium Amateur Owner Jumpers with her Dutch Warmblood S&L Sander to several championship and reserve championships as well as finishing in the top ten in the Classics nine out of the ten weeks. Katie also competed in the Medium and High Amateur Owner Jumpers with her new horse Replique. The pair won several classes throughout the circuit and finished in the top ten in the classics many of the weeks. 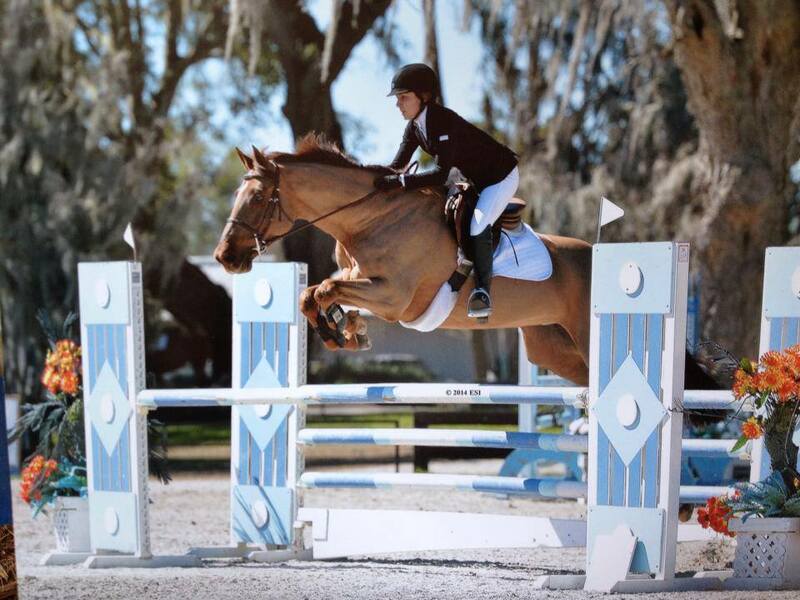 Isabella Roman and Dreaming Out Loud in the Children's Jumpers in Ocala. Photo by ESI Photography. Isabella Roman,15, of Libertyville, IL, and her new horse Dreaming Out Loud had multiple Championships in the Low and Medium Children's Jumpers which earned them the Circuit Championship in the Medium Children's Jumpers and Reserve Champion in the Low Children's Jumpers. Roman also won the Marshall & Sterling mini medal week three. This was Roman’s first time in Florida and her first shows with this horse. 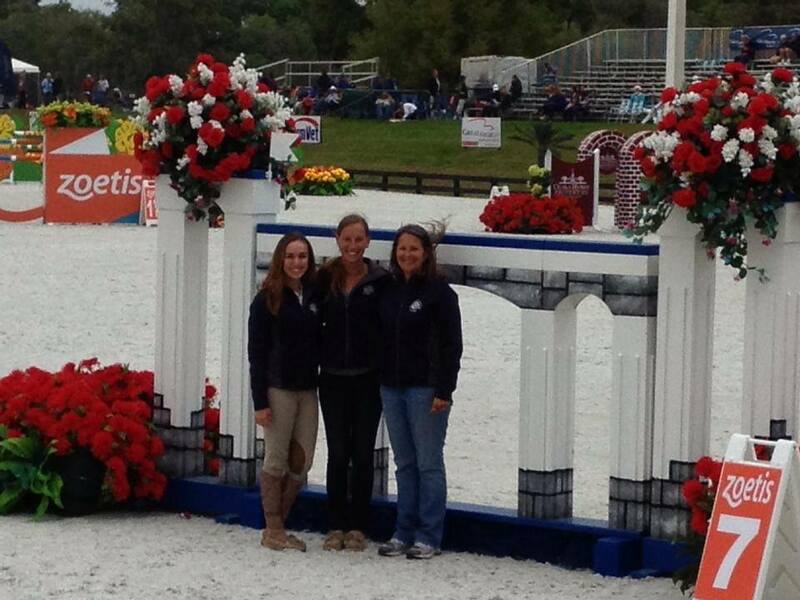 The group walked the course for the $1,000,000 Grand Prix. After the ten weeks of Ocala, Millennium Farm came out like gangbusters at the Showplace Productions’ Spring Warm Up at Lamplight Equestrian Center this past weekend. Jamie Gerber won the Showplace Jumper Classic and was Champion in the Novice Child/Adult Jumpers on the farm school horse, DeChanel. Jamie Gerber and DeChanel won the Showplace Jumper Classic at the Spring Warm Up. Mindy Feldman won the Limit Hunter Classic and was Reserve Champion of the Limit Hunters on another farm school horse, Sir Raleigh. Isabella Roman was second in the WIHS and NAL Children’s/Adult Jumper Classics on her Dreaming Out Loud. This was Roman’s first time in the High Children’s division after getting to know her horse in the Low and Medium Children’s divisions in Ocala. 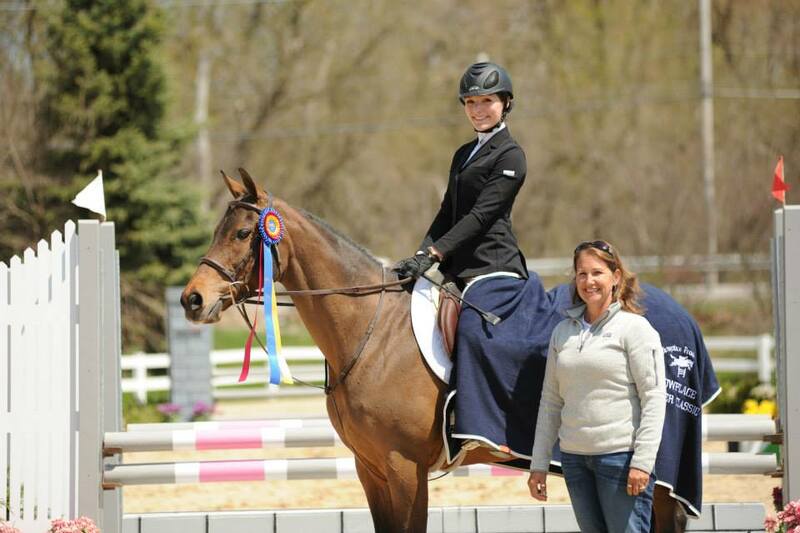 Katie Leverick and S&L Sander won a Modified Jumper class and a Junior/Amateur Jumper class. Taylor Kozloski on her horse Oblivion, won great ribbons in the Children’s/Adult Jumper Classic and High Training Jumpers. Katie Leverick was also just honored with an invitation to be an alternate rider for the upcoming George H Morris Gladstone Program Training Session to be held at Annali-Brookwood Farm in June. The training session is an intensive program aimed at building riders for future USA team competitions. Morris selects only ten riders for this training session. Millennium Farm is also a sponsor of the training session. Sponsor dollars are used to support education by offering auditing passes for riders to observe and learn from the training session. 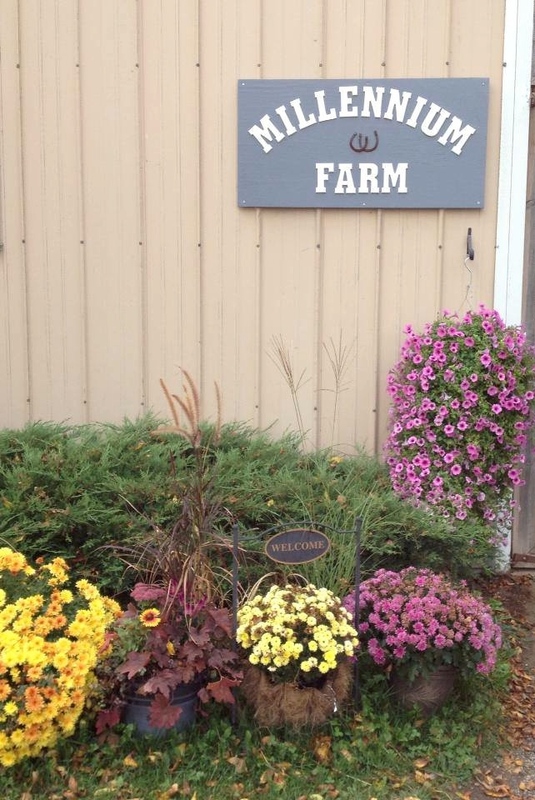 Millennium Farm is a complete hunter/jumper facility located at 21989 W Hawley Rd, Mundelein, IL. The facility includes a120 x 200 outdoor arena, a 90 x 200 heated indoor arena with viewing room, 14x14 stalls, a hunt field and twelve grass turnout paddocks. For more information on Millennium Farm, visitwww.millenniumfarmltd.com or call Sue Leverick at 847-833-4953. “Like” us on Facebook at Millennium Farm and follow us!